At last the most obvious cat has scurried its way from the most obvious bag. 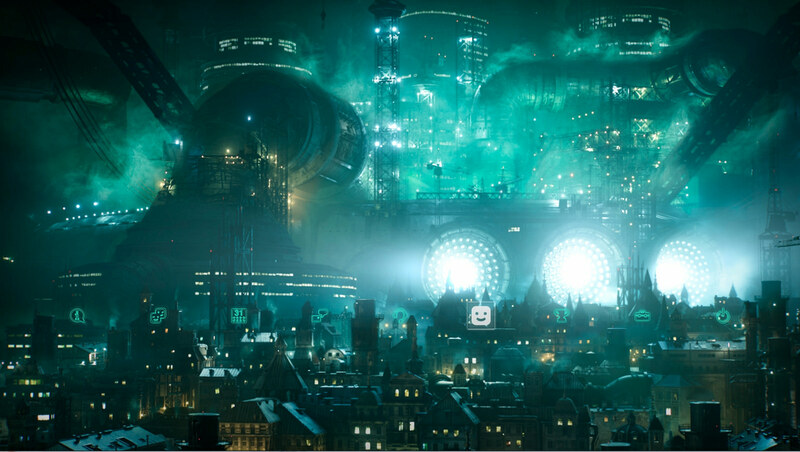 With the first gameplay trailer and Japanese press interviews around Final Fantasy VII Remake, along comes the full realization: this won’t be a brick-for-brick rebuild of the original game. In fact, it’s likely to be ultimately quite different indeed. But, listen – put down your pitchforks. It isn’t a bad thing. Lest we forget, with how time flies, Final Fantasy VII released seventeen years ago. The amount the video game world has changed in that time is immeasurable – but the changes that have taken place make decisions such as an action-oriented combat system and a multi-part release schedule make a hell of a lot of sense. Let’s examine that release schedule first, described by Square Enix as “a multi-part series, with each entry providing its own unique experience.” To many people this screams Episodic, and to many more this screams Telltale Games, with all the positives and negatives that brings. One can’t be blamed for being sceptical, then, but there’s probably a better example out there in the world of games – and it too comes from a developer storied in and fighting to keep its classic genre relevant in the face of vastly grown competition. I’m referring here to StarCraft II, which was revealed to be a multi-part package in 2008, its campaign split in three for each playable race. For them this made a lot of sense. In 2007, the Real Time Strategy genre wasn’t what it once had been, and while Blizzard perhaps couldn’t have known at the time, the genre was about to be further decimated by the rise of their offspring, MOBAs. The Starcraft release schedule allowed Blizzard to build out three impressive campaigns over time, each with unique gameplay mechanics and touches that would’ve likely been impossible had the team built three campaigns for three playable races all at once – it had a positive impact. Each entry performed well both financially and critically, launching in 2010, 2013 and 2015 respectively. Rather than the Telltale comparison, this is the one I feel more inclined to make. EA ran into this issue with Command & Conquer too – the expectation for an RTS was for multiple detailed campaigns, complete with cinematic story sequences and one-off mechanics. But with the rising cost and complexity of things like art and narrative direction without a rise in sales, this became a more and more unrealistic ask. By splitting the game up, developers can focus more on one section in detail and the publisher can take away a larger cut over time by charging more for the expanded development in a piecemeal fashion. 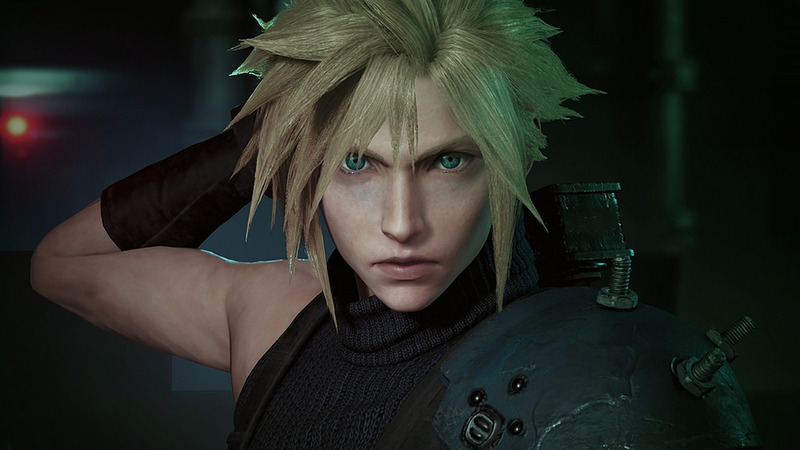 This sentiment is echoed in comments from Tetsuya Nomura, Final Fantasy VII Remake’s Director. Or, to rephrase – “By splitting the game up, developers can focus more on one section in detail…” Oh, I’m quoting myself. You get the point. Final Fantasy VII’s content is obviously several times the size of a title like StarCraft II, so I expect it to come in more than three parts. I’ve argued in the past that the entire Midgar-based opening act of the game could make up a game all of its own, and that definitely feels like the obvious cut-off point for a ‘Part One’. Given the size of some areas in this section such as Wall Market, the Train Graveyard and ShinRa tower, plus minor branching paths in things like the Don Corneo quest or ShinRa HQ assault adjusting how story sequences play out, one could easily imagine the asset creation necessary for just FF7’s Midgar section outstripping that needed for the whole of Final Fantasy XIII – and so here is where the decision to break the game up rather than truncate it begins to make the most sense. So maybe it’s worth giving them the benefit of the doubt until we see the first chapter in more detail. If you want a fully-fledged, detailed FF7 remake that doesn’t cut extraneous elements and successfully integrates additional nods to things later added in the Compilation, a broken-up development and release might be better. Or would you rather another seven year wait? The other thing that has people angry is, of course, things changing. But what, pray tell, did you expect a remake to be, especially in 2015? The biggest ‘offender’ is the switch from traditional ATB battles to a more action-like system that seems to resemble the likes of Kingdom Hearts and Dissidia Final Fantasy, something which I have to feel most should have anticipated. I love some old-school turn-based action, but I also need to be realistic about the fact that very few Triple-A RPGs are willing to run with that style of combat in this age. As of May 2010, before the modern rereleases on Steam, iOS and PS4, FF7 had sold over 10 million copies. It’s Square Enix Japan’s most successful game, and make no mistake: the reason this remake is going ahead is as much for that as it is thanks to fan demand. After many attempts to replicate its successes in new games (infamously, Lightning was born from a request from Motomu Toriyama to Tetsuya Nomura to design “a female version of Cloud”), Square Enix is finally actually returning to the source of that success. This is about fan service, then, but the thing is this – most of the fans are already sold. Before its Steam Release, FF13 became the fastest-selling title in the series but also fell well short of FF7’s insane numbers, selling just over 6.5 million copies around the world. It’s since been bolstered by around another half a million on Steam, but Square Enix still must wonder – where did that other three million players go? And can they be coaxed back? This isn’t just about fan service for the faithful, then, but also about bringing back those who have fond memories of FF7 but have lapsed from the series in general. In the background of all this has been a huge tectonic shift for the big-budget RPG genre in general, with the rise of Western RPGs as a force to be reckoned with on console heralded in the mid-2000s with titles like Oblivion and Mass Effect. The growth there has been meteoric in FF6 to FF7 proportions – 2002’s Elder Scrolls III: Morrowind sold 4 million copies, but its successor managed growth of several million copies, and the fifth Elder Scrolls game was even more insane, shipping 7 million copies in its first week and 20 million over time. This isn’t a phenomenon exclusive to Elder Scrolls, though it is the most obvious example. Bioware’s work saw significant sales growth over the course of a generation, while CD Projekt RED’s The Witcher 3: Wild Hunt pulled close to FF13’s sales inside six weeks in spite of its predecessor not even reaching 2 million copies sold. “Skyrim is a game we have been following eagerly,” FF7 remake Producer Yoshinori Kitase told EDGE Magazine in a 2011 interview for Final Fantasy XIII-2. Square Enix has been taking notice. What all of these RPGs have in common is that while they have wildly differing mechanics, they’re all action-based games. Meanwhile, traditional turn-based games that aren’t Pokémon have consistently struggled to perform as they did in the SNES and PS1 heyday – so if Square Enix wants to see FF7 perform to the level of greatness it originally did and justify a budget to match, yes, action-based combat is probably necessary. It’s easy to understand where fans are coming from when they’re upset. Many out there would absolutely buy a turn-based FF7 Remake – but what’s important to remember is that this remake is about modernizing FF7. 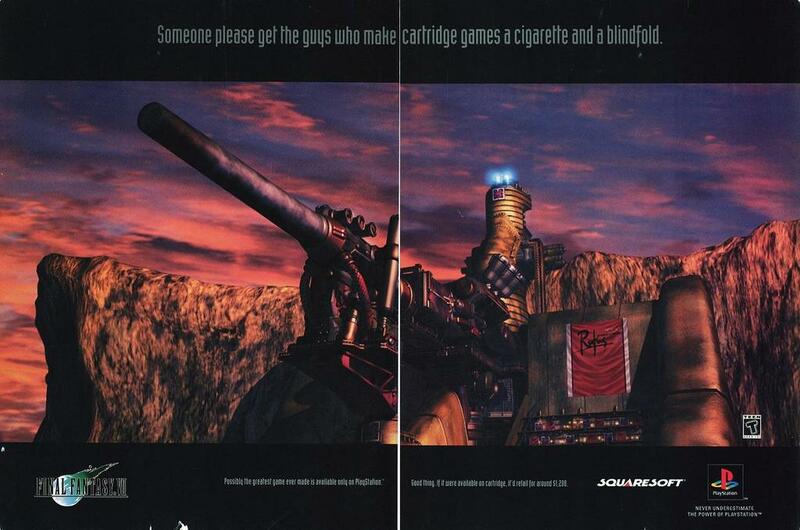 The aim is no doubt to find a new audience, plus recapture lapsed fans who were drawn into the original by flashy CG-only TV commercials and cocky magazine ads suggesting that “the guys who make cartridge games” would want to shuffle off this mortal coil after seeing FF7 action. Even then, the turn-based battles weren’t for everyone, and a popular but impossible to verify legend pegs FF7 as the “most returned game in history” after more casual gamers, blown away by the CG adverts, were disappointed in the game itself. For this, and because of this, FF7’s Remake is wise to evolve towards more contemporary combat. Even I can admit that – and I bloody love turn-based. FF7 Remake Director Tetsuya Nomura has been chasing action-based RPG combat for a while now, and so far the remake seems to be following in the footsteps of his work on titles like Kingdom Hearts, Dissidia and the aborted Versus XIII. Development is being assisted by CyberConnect2, a company with a strong third person action pedigree in its Naruto titles. I’m ready for action-based combat. 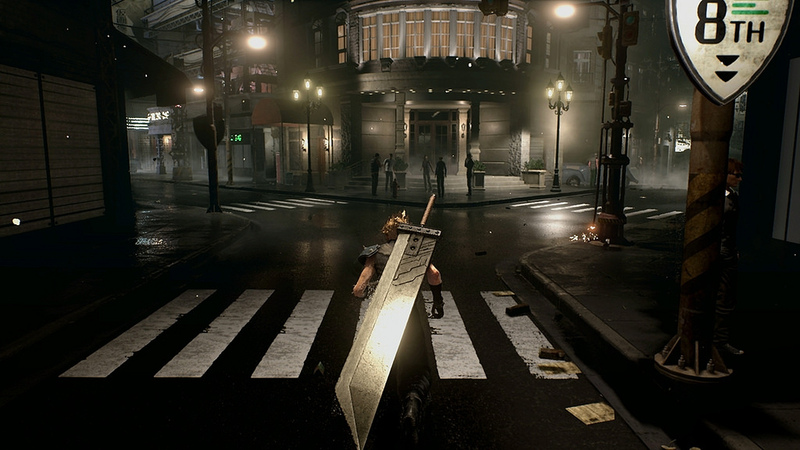 The challenge now for Square and CyberConnect is to marry that combat with solid RPG mechanics and FF7’s iconic battle imagery without muddying any element. That won’t be easy – but again, all we can do there is withhold judgement until we can play it ourselves. If you’re losing your mind, consider not doing so. Right now, we know so little – and even if this turns out to be a disaster, the original FF7 has not been abandoned or wiped from history in the style of the original Star Wars releases. Indeed, it has just been re-released yet again. We will always have that release; now it’s time for something new.